This thing, via goniart.com. I know not what it means, but it’s great. 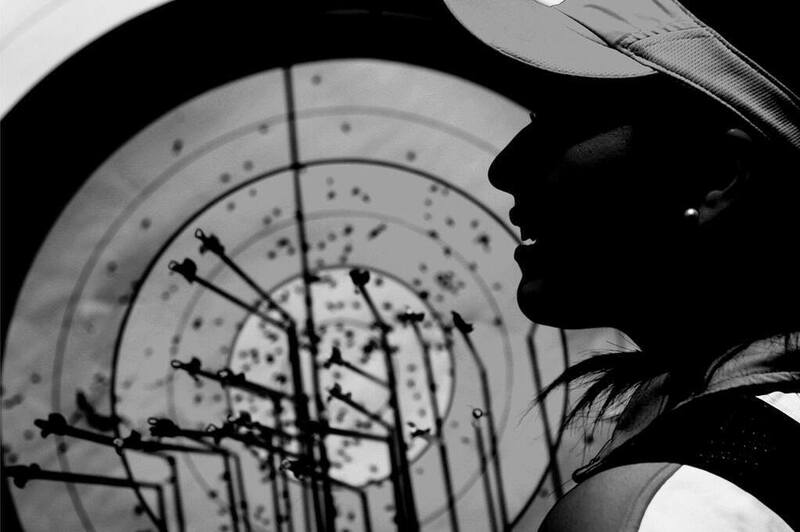 Mariana Avitia placed fifth in individual recurve at the Medellin World Cup. read more about it here. 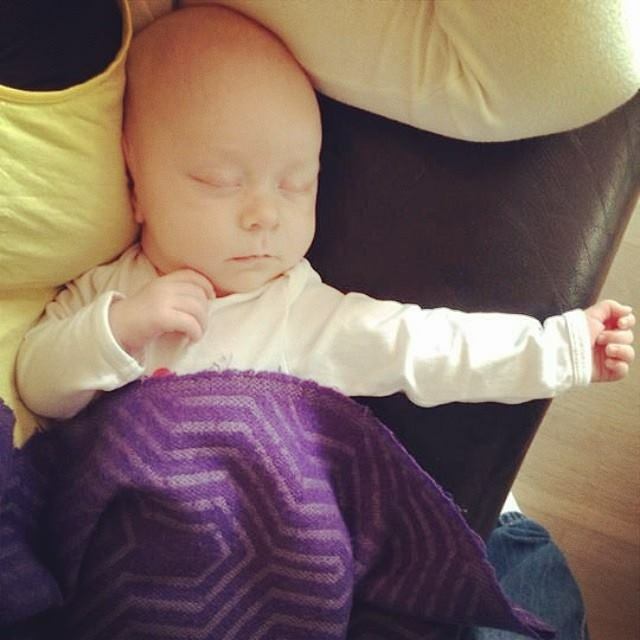 Picture via @conade. 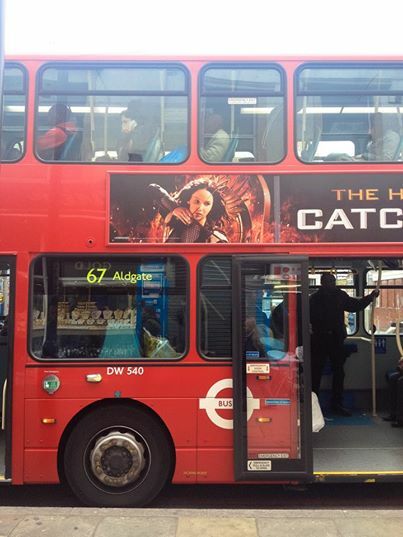 The Hunger Games: Catching Fire hits London’s buses. Woe betide anyone getting off. 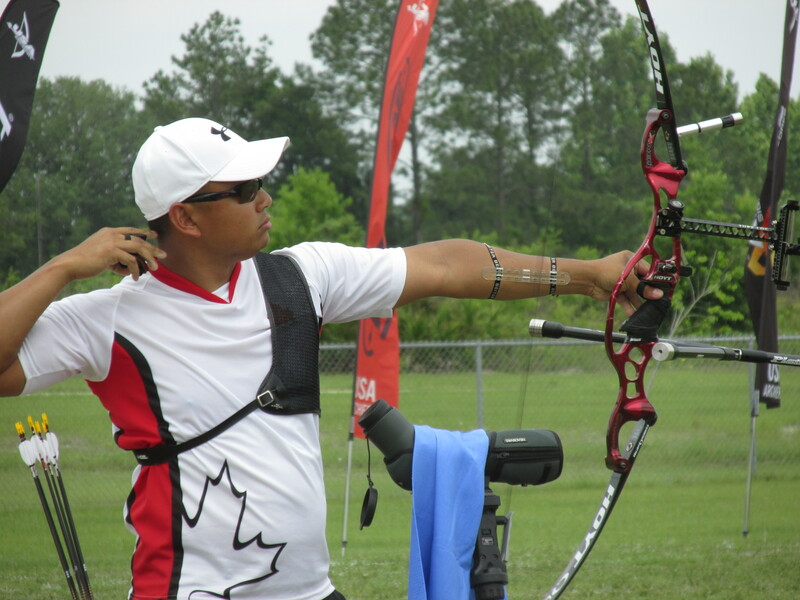 Crispin Duenas of Canada on his way to winning the Gator Cup this month. Photo exclusive by Helen Claudio. 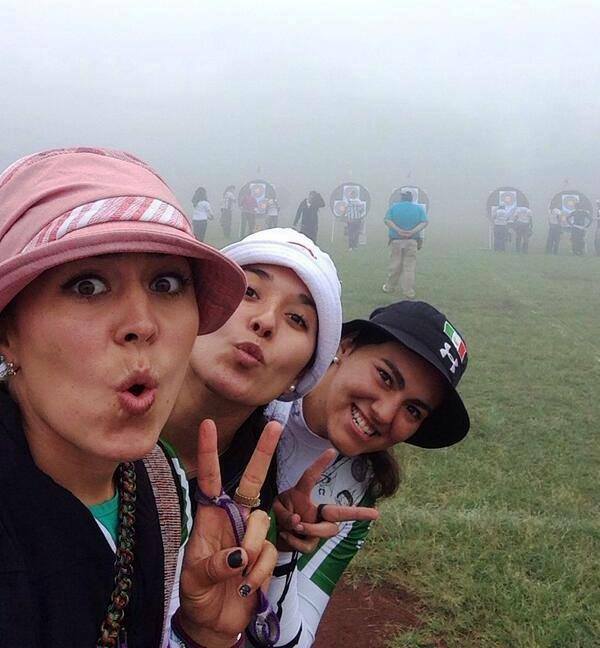 Aida Roman, Mariana Avitia, and Alejandra Valencia in miserable conditions at the Mexican Grand Prix earlier this month. 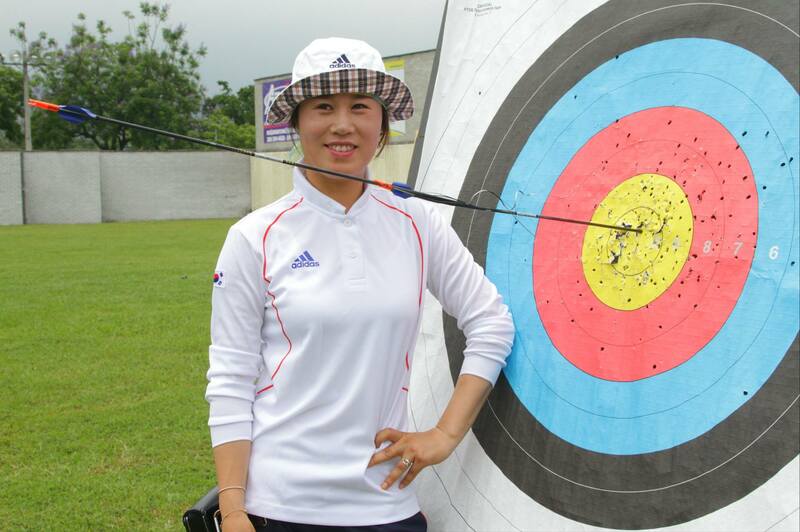 Joo Hyun-Jung of Korea shoots a Robin Hood in practice for the Medellin World Cup. In the ten. 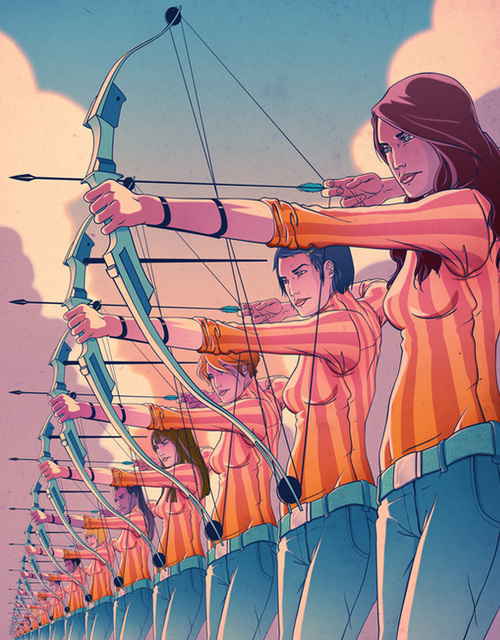 At 70m. 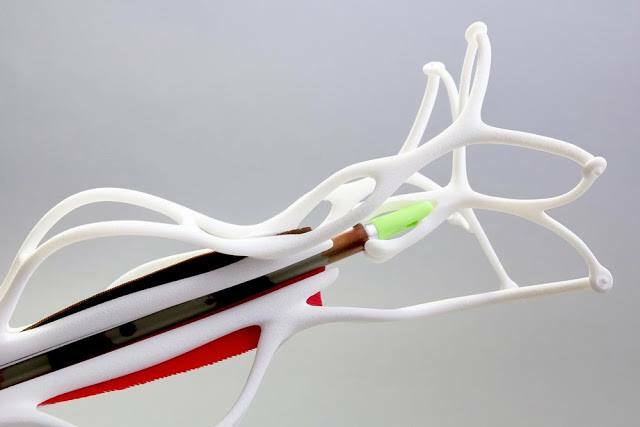 Beautiful 3D printed arrow-fletching rig. Via this company. 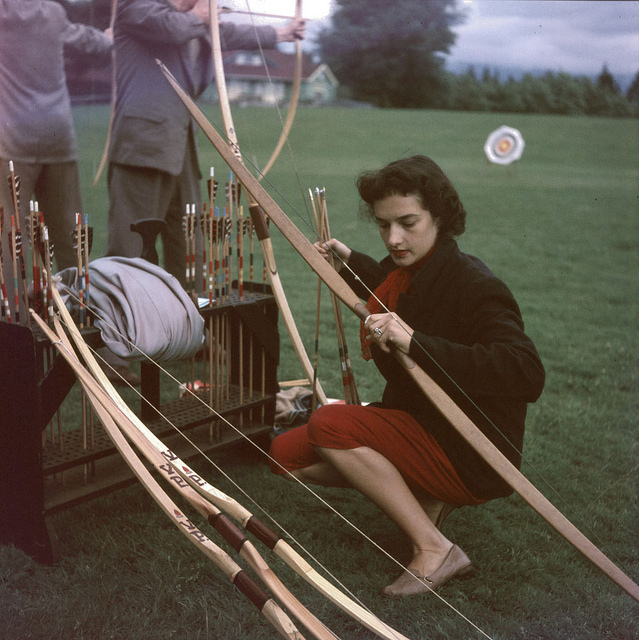 Archery in Stanley Park, Vancouver, B.C., 1954. (via www.chronicallyvintage.com). 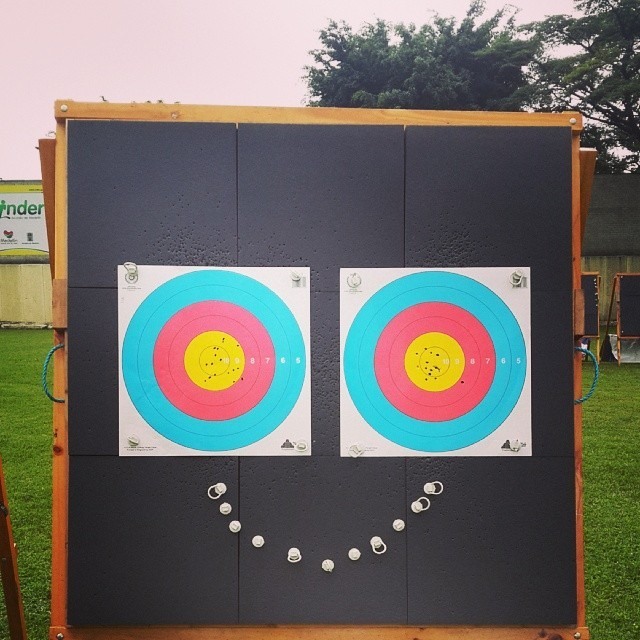 Finally, a target smiley, from the ever-awesome @saralopezb24.